Salesforce.com is hoping customers will tap more pieces of its growing cloud software portfolio with a new product, Sales Performance Accelerator, that combines its CRM software with its Work.com performance management application as well as customer lead information from Data.com. “We’re basically trying to make every sales rep an A-player,” with the combined package of applications, said Mark Woollen, vice president of product marketing, Sales Cloud. Information from Salesforce.com’s Data.com service can help increase the amount of “pipeline,” or early-stage deals, salespeople have to work with, Woollen said. Meanwhile, Work.com’s Facebook-like software environment gives managers a way to provide their sales teams with better coaching, leading to more consistent “win rates,” he said. “One thing we find when we talk to sales organizations is that reps don’t know why they won or lost a particular deal,” said Nick Stein, senior director of marketing and communications. While Salesforce.com customers were already able to purchase subscriptions for the three applications included in Sales Performance Accelerator, the points of integration have now been made much deeper, according to Stein and Woollen. Salesforce.com is also offering a temporary break on pricing. For the next 90 days, Sales Performance Accelerator can be obtained for as little as $90 per user per month. Pricing will start at $110 per user per month after the promotional period. Early users of Sales Performance Accelerator include Enterasys and CareerBuilder, according to Salesforce.com. Beyond an attempt to generate more revenue through attractive bundling, Sales Performance Accelerator also represents a return of focus by Salesforce.com to its core sales force automation software business. Led by CEO Marc Benioff, of late the company’s marketing efforts have focused on a theme of “customer companies,” with Salesforce.com positioned as a purveyor of tools that can help businesses make stronger connections with their partners and customers. 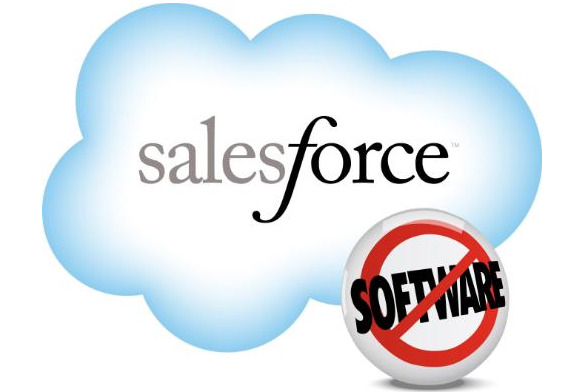 Salesforce.com has also been spending big on acquisitions in order to enter adjacent product areas, such as marketing. It recently paid $2.5 billion to acquire marketing software vendor ExactTarget, with Benioff saying that marketing could end up being a $1 billion annual business for Salesforce.com.